This bike started out as an American Ironhorse Slammer. I had it built to my specifications and flew out to Texas to get it. I am the original owner. 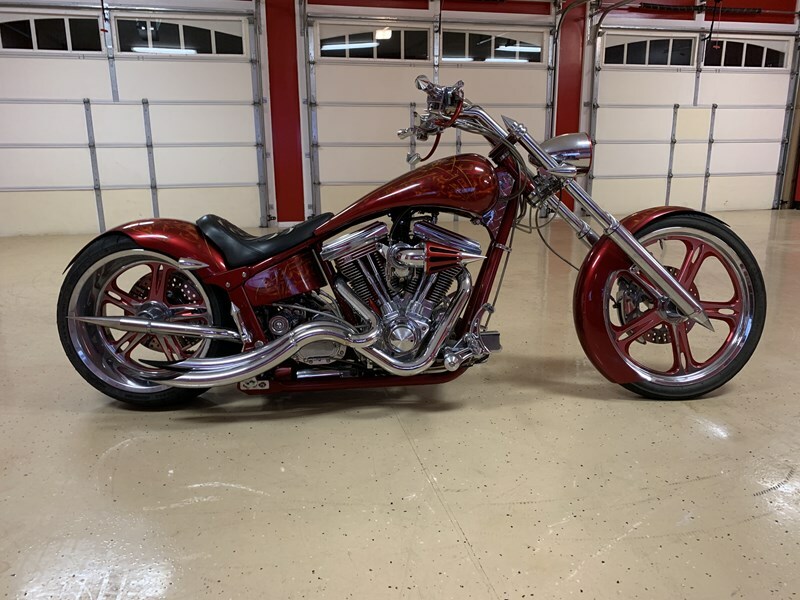 The bike has gone through some radical customization and as a result was awarded Best of Show at the Thunder Roads Bike Show by Indian Larry in 2004 and then again in 2005 by Mike Amen. It was also the cover Bike of Thunder Roads twice. It has won every show it has ever been in. Enjoy the pictures and soak in the details. The engine is an S&S 107”. It has an air ride suspension that can raise and lower the bike on the fly or while sitting still. It has a one of a kind single sided swing arm. Every detail has been meticulously thought out. Feel free to text or call me at 770-597-zero nine two four. $19,900 OBO. Bike is always kept on display in custom climate controlled garage.